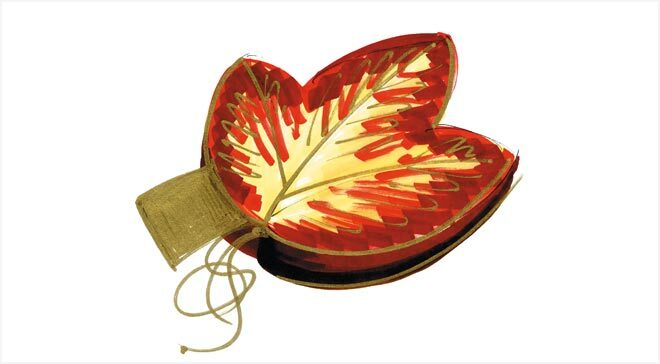 Seasonal products need to clearly communicate the spirit of the season they are sold in. Thereby one can speak to the consumers’ mood and ensure the success of the product. 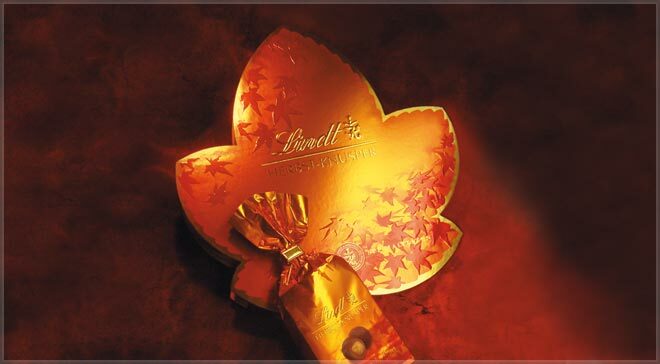 The choice of colors and the shape of the packaging imitates an autumnal maple leaf which perfectly conveys the spirit of Fall. 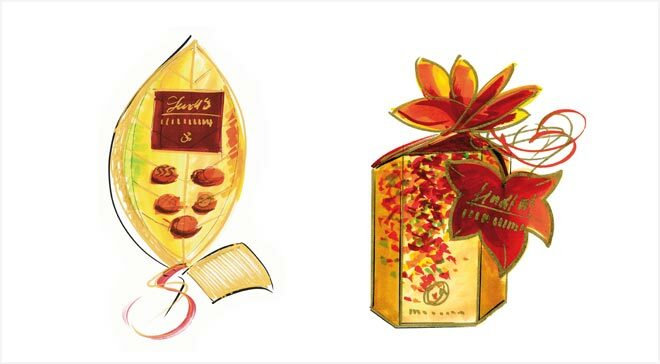 The packaging also makes use of refinements like embossing and spot varnish which are typical for the premium chocolate of Lindt.